Hello again you lovely lot, it has been a while. I'm sorry for not writing any blog posts for such a long time but I've been busy with many other things including my podcast. I have been listening to a lot of music while I was away though, see below to know what I have been jamming to throughout the great month of March. March's playlist encompasses lots of genres throughout the years. 80s, early 00s and recent releases. It contains tunes from Mabel, Darius and even DJ Pied Piper, a song I was introduced to earlier this month and had such a throwback. There's also Fickle Friends and Florida Georgia Line - see the track list and Spotify playlist embedded below to find out what my full playlist entails. Enjoy! Be sure to follow me on Spotify and see next month's playlist before anyone else. 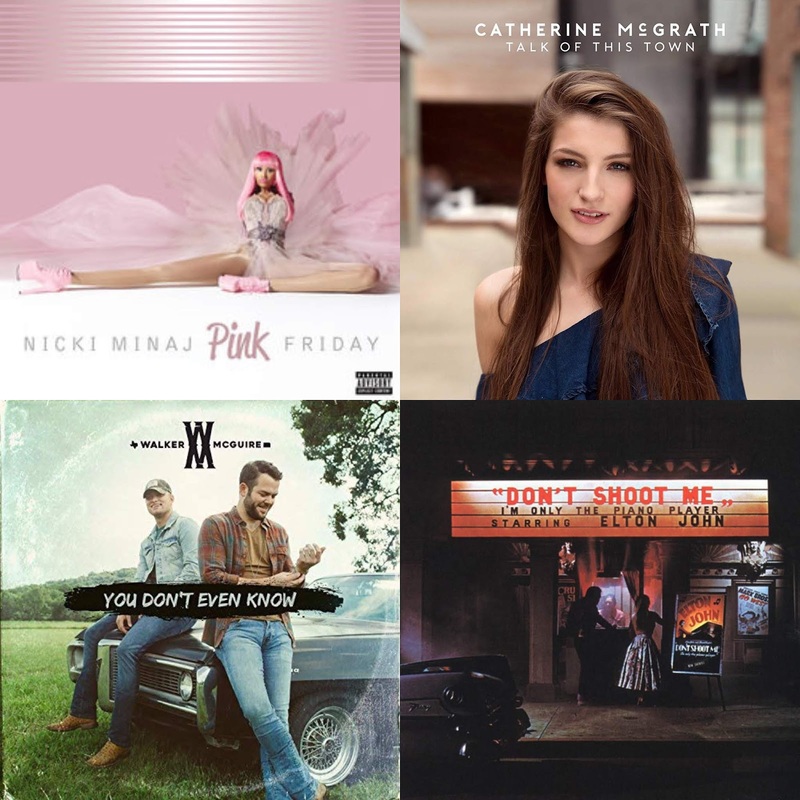 Nicki Minaj album cover courtesy of Cash Money Records, Catherine McGrath album cover courtesy of Warner Bros. Records UK, Walker McGuire album cover courtesy of Wheelhouse Records, Elton John album cover courtesy of This Record Company.